This is NOT a Buzzfeed video. It’s by Flama which is part of the Fusion network (I believe). But it is without a doubt in the Buzzfeed style of: “People with X background do something from Y background’s culture and comment on it.” I don’t even think the good folks at Flama would deny this is a ripoff of the Buzzfeed style. And hey — I don’t blame Flama either. It’s a clever kind of editorial. But not difficult to mimic (as evidenced here). The same critique could have been made of of Upworthy’s headlines circa 2012–13. You know, the ones that ended with “what happens next might make you cry” or “7 things that” etc. The formula behind those “curiosity gap” headlines isn’t hard to duplicate. And it was indeed a formula. This image was from a presentation the founders of Upworthy gave. I once saw in another presentation this put forth as a literal formula (with an equals sign and other math symbols). 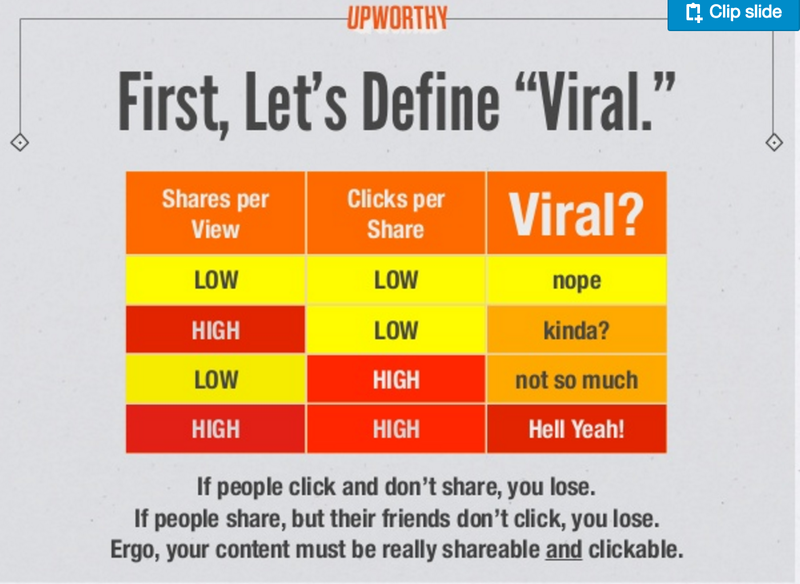 The theory behind Upworthy was that virality could be turned into a science. And if that was true, in a literal sense, then it could be repeated. And if that was true — then anyone could do it if they got the science right. If that’s what makes you different — then it’s easy to copy. And then you end up with black hat actors like Viral Nova. And when the water gets muddied by black hat actors, then white hat actors get dirty as well. And Facebook will have to respond and punish everyone a little bit. I am not calling Flama a black hat actor here. They are well intentioned copy-cats. When that becomes black hat (which is a term I’m using perhaps differently from its original intention) is up for debate. But if you are Buzzfeed video you must be thinking two things. That’s all well and good. It is flattery and a sign of your success. But you must immediately then go to thought #2. 2. We gotta do something else. And you better hope that something else won’t be easy to copy. Because if it is — then you’ve started a never ending arms race. Perhaps that race was kicked off with listicles (which have suffered since Buzzfeed video took off). A student at UC Berkeley’s J-school, Zainab Khan, calls this a problem of “pacing,” which is an interesting term for it. 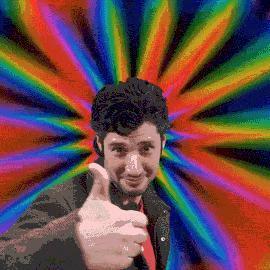 At what “pace” do you develop new editorial styles and viral tricks? She also points out that, just as Buzzfeed “borrowed” from Reddit (which stole from 4chan) for their listicles, their videos may also be “borrowing” from YouTube styles pioneered by independent producers like Smosh. And this just leads to a giant devil’s advocate. As long as there is niche internet culture, their will always need to be a clearinghouse for it. This means Buzzfeed’s role isn’t in “owning” any style. It’s in appropriating whatever internet fad the kids come up with next. They are the hipsters of the internet in this sense — Doing stuff JUST before it becomes uncool, but not early enough to say they added anything of real valueto the culture other than blowing it up. And that still leaves an open question about how “defensible” that editorial position is.